Need some morning fuel to help you catch every last Pokemon there is? Try this new product at ThinkGeek! 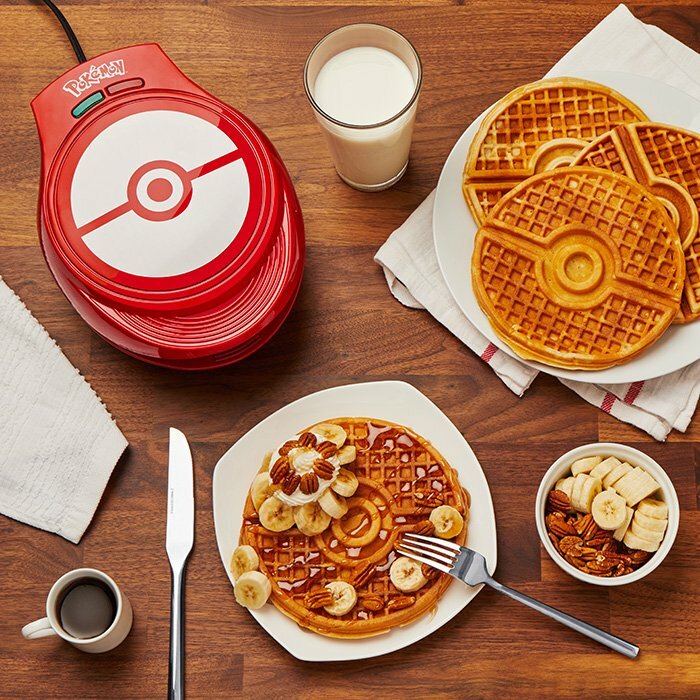 The Pokemon Poke Ball Waffle Maker is coming to the geek-centric retail store later this month for $34.99, and it looks like it's perfect for trainers who love waffles, but really need them shaped like Poke Balls before they can eat them. Or anyone who loves fun. 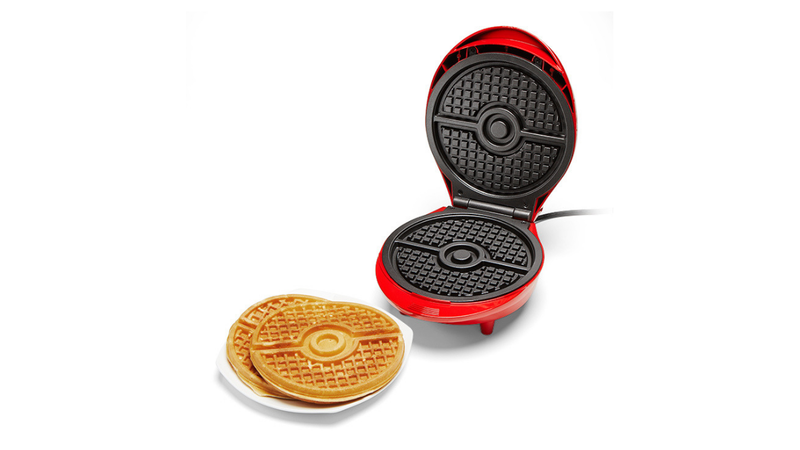 The officially-licensed product is a ThinkGeek/GameStop exclusive and will make 7" diameter waffles. They're done in about 5 minutes after you pour your batter in, and you can pop out your tasty Poke Ball waffle to smother in delicious toppings. Or none at all if you're like me and shouldn't eat all that extra sugar. Either way, it looks delicious. You can pre-order the waffle maker now, but you'll have to wait a little while before it releases. Hopefully it'll be ready in time for Thanksgiving so we can devour waffles made entirely of stuffing!